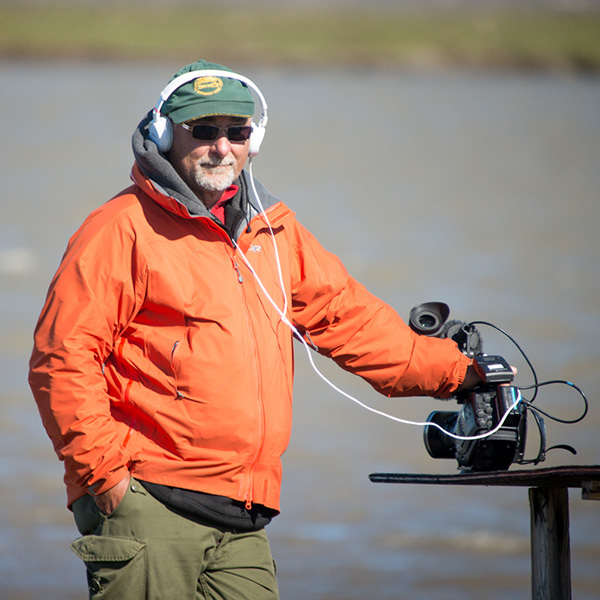 Originally from Ontario, Dave graduated from Ryerson with a BA in Radio and Television and in 1977 began working for CBC Radio in Inuvik. From there, he went on to work for CBC Radio News in Toronto, CBC North Radio and Television, CBC’s The National, and as a video journalist for CBC North and APTN. Dave was nominated for an Academy Award for his work as part of the crew of the Dr. Peter documentary series from Vancouver. Dave is a self-described Professional Volunteer who remains very active in his community of Yellowknife and is currently involved with Folk on the Rocks, Old Town Ramble & Ride, the Mining Heritage Society, and the City of Yellowknife Heritage Committee. Mason Mantla’s episode in Season 1 because it was truest to the concept and put the film crew and equipment to the cold weather test.